“The other Dr. Chris”, is a Cleveland, Ohio native! He graduated from St. Ignatius High School, completed his undergraduate education with a B.A. in Biochemistry from John Carroll University, and achieved the degree of Doctor of Dental Medicine (D.M.D.) at Case Western Reserve University School of Dental Medicine. Outside the office, Dr. Bej is a big Cleveland sports fan! He loves exploring the Cleveland food scene for sure, and relaxes by spending time with friends and family: one of Dental Arts’ signature trademarks. Brenda has enjoyed her 30 years in the dentistry field. Her career began after graduating from the Medina County Career Center earning her Certified Ohio Dental Assistants certificate and furthering her education by earning her Expanded Functions Dental Assistant from Case Western Reserve University. Brenda’s passion for Dentistry, attention to detail and commitment to patient care is the perfect combination for her work with Dr. Cris. She is committed to making your visit as comfortable and as pleasant as possible. In her free time, Brenda enjoys spending time with her family and 2 dogs at their cabin in PA, gardening and cooking. Winter is a favorite time of hers and she enjoys long walks with her dogs. Although it has been difficult, she is also still an avid Browns’ fan… Go Browns! 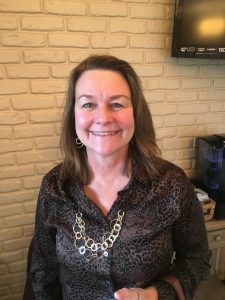 Debbie graduated from the Medina County Career Center’s Dental Assisting program and has worked in the field since 1991. With her friendly personality and experience, she will gladly answer any questions you may have about your treatment, insurance, scheduling and financial arrangements. She enjoys getting to know patients and their dental needs. 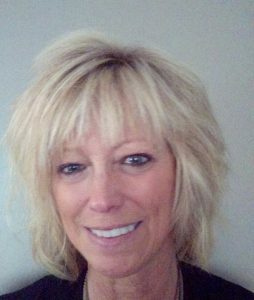 Outside the office, Debbie enjoys traveling, the outdoors, watching cooking channels, and she is a dog lover! She is married and has 2 adult children. Angela has been working in the dental field for over 24 years! She has made Massillon, Ohio, her home and is looking forward to serving each and every one of our patients with the utmost experience and care. Angie is versed in almost all areas of dentistry including cosmetics, oral surgery, orthodontics, pediatrics, periodontics, and prosthodontics.